Trying to lose weight? We’ve all tried it once or twice, and some of us did it with success! But then a little while later we notice that we’ve put on that weight again. Fear not! 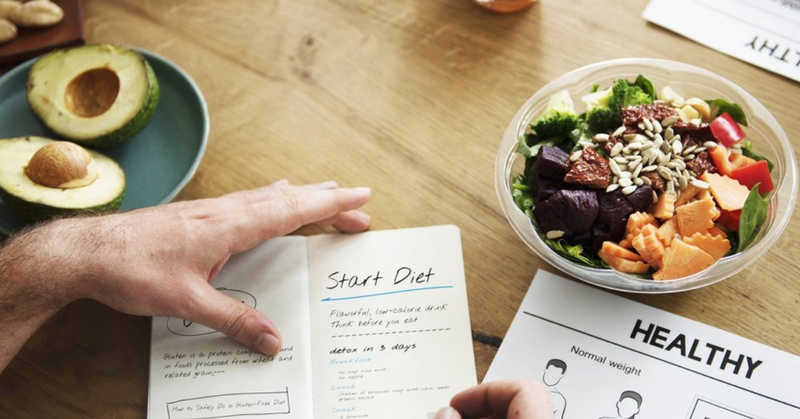 We’re here to help with these 5 different types of weight loss diets that will definitely help you if you stick to your diet and (don’t cheat laaaaaa) Important reminder, please consult a medical professional before starting any diets. Calorie in Calorie out has been around as long as human has been walking on earth and it has been around since before we even understood it! Serving as the basic building block of a weight loss regiment, CICO is simple- eating food is the calories in, exercising and going about your day is the calories out. In order to lose weight, you’ll have to ensure that either your calories coming in is lesser than the calories going out or make sure that your calories out is more than your calories in. And it’s that simple! I am personally using CICO and would recommend it to any beginners out there as CICO is a simple yet effective way to lose weight, you should also try to use a calorie counting app such as My Fitness Pal to help to track those pesky calories! Next on this list is the Ketogenic diet, the idea behind Keto is to have a very low carb diet, with moderate amounts of protein and a high fat intake. The idea is to get your body to use fat as fuel instead of burning carbohydrates. But you are required to take in healthy fats such as nuts, seeds, oily fish such as salmon, etc to get to your required fat count. What happens next is that your body breaks down your fat deposits and through a process called ketosis, it creates this ketones, hence the name. The Ketogenic diet has been showing promising signs in relation to diabetes management, weight loss and change in your body’s physique. Have you ever thought “OMG if I just don’t eat I won’t be so fat D:” Well it turns out that you’re not alone! There are people who practice intermittent fasting in which case they will eat a meal at a set time a day, or a big meal one day a week, or even one big meal every two weeks. Some methods include 16/8, which means you only eat within a period of 8 hours, and fast the other 16 in a day. Another one is to fast for 24 hours, eat normally for a day then fast another 24 hours. There is also the 5:2 method where you eat only 500 calories a day on two days straight then eat like normal the other five days. OMAD (One meal a day is also popular among younger men who are trying to lose weight). These diets all do the same thing, they make it easier to control your calories as you’re making a decision to fast. Intermittent fasting has been very successful for people who are trying to lose weight. But that’s not to say its easy though! I’m sure we’ve all heard of this in one form or another “CARBS ARE BAD FOR YOU BRAH” or “Just don’t eat carbs lah” and they’re right! But most of us won’t know that it’s an actual diet with an actual name! So how Atkins diet works is that by abstaining from carbs, and eating as much protein and fat as you like you’ll actually end up eating less calories in the long run as not eating carbs actually reduces your appetite! Nuts right?! But it’s actually proven to work! But of course, like everything in life nothing comes free, because by abstaining from carbs you cant have those delicious fries anymore, sad right? But the good news is that the Atkins diet has been shown to lead to faster weight loss as compared to low fat diets. And those are just a few of the diets out there, some are more difficult than others but the ones in this list is beginner friendly, so don’t worry. But please take care of yourself and consult a doctor before embarking your diet journey or if health complications arise, and be sure to do your research and stay informed because we’re all going to make it!